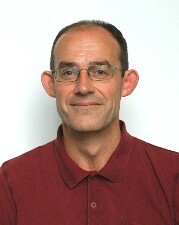 Dr Charles Bishop has links with the Animal Physiology, Behaviour and Conservation Group. Primary interests include the morphological and physiological adaptations that underlie inter- and intra-specific differences in animal locomotor abilities and in the energetic costs involved in different behaviours, especially vertebrate flight performance and migration. Techniques include the use of miniature electronic data loggers to monitor the heart rate and body motions of animals during free-ranging locomotion, and the modelling of cardiovascular variables with respect to adaptive and allometric variation. Recent model systems combining heart rate and acceleration data include the migratory physiology of bar-headed geese (Anser indicus) in Central Asia (http://barheadedgoose.bangor.ac.uk/), and the flight abilities of homing pigeons (Columba livia). Heart rate has also been measured in free-ranging fish and reptile species. The use of GPS satellite tags is also a vital part of understanding flight capabilities and studies have been undertaken on turtles, wandering albatrosses, king penguins, Manx shearwaters, Shags, razorbills, pigeons as well as migratory geese. What can seabirds tell us about the tide? Variations in Eastern bongo (Tragelaphus eurycerus isaaci) feeding practices in UK zoological collections. Inter-annual variability in the home range of breeding turtles: Implications for current and future conservation management. Helping effort increases with relatedness in bell miners, but 'unrelated' helpers of both sexes still provide substantial care. Microhabitat selection by sea turtles in a dynamic thermal marine environment. Linear tracks and restricted temperature ranges characterise penguin foraging pathways. Life in the fast lane: The free-ranging activity, heart rate and metabolism of an Antarctic fish tracked in temperate waters. Novel GPS tags reveal fine-scale foraging movements of marine predators over extended time periods. Evidence for a respiratory component, similar to mammalian respiratory sinus arrhythmia, in the heart rate variability signal from the rattlesnake, Crotalus durissus terrificus. Two wings good, two legs bad: The heart rate and oxygen consumption relationships of flying birds. Bishop, C, Garland, J & Davies, A 2006, 'Two wings good, two legs bad: The heart rate and oxygen consumption relationships of flying birds. ', Comparative Biochemistry and Physiology A - Molecular and Integrative Physiology, vol. 143, no. 4, pp. S81. The affect of additional body mass on the heart rate of pigeons during short homing flights. Bishop, C, Garland, J & Davies, A 2005, 'The affect of additional body mass on the heart rate of pigeons during short homing flights. ', Comparative Biochemistry and Physiology A - Molecular and Integrative Physiology, vol. 141, no. 3, pp. S103-S104. The effect of impaired thyroid function during development on the mechanical properties of avian bone. Heart rate and the rate of oxygen consumption of flying and walking barnacle geese (Branta leucopsis) and bar-headed geese (Anser indicus). Ward, S, Bishop, CM, Woakes, AJ & Butler, PJ 2002, 'Heart rate and the rate of oxygen consumption of flying and walking barnacle geese (Branta leucopsis) and bar-headed geese (Anser indicus). ', Journal of Experimental Biology, vol. 205, no. 21, pp. 3347-3356. Bishop, CM, McCabe, CJ, Gittoes, NJ, Butler, PJ & Franklyn, JA 2000, 'Tissue-specific regulation of thyroid hormone receptor mRNA isoforms and target gene proteins in domestic ducks', Journal of Endocrinology, vol. 165, no. 3, pp. 607-615.